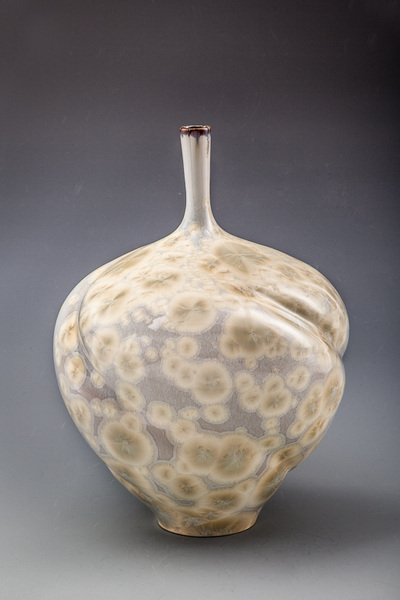 Gloss Crystalline - All of our crystalline is made out of a blend of fine porcelain and white stoneware. The gloss crystalline glazes create bright, colorful glazes with numerous crystalline structures that seem to float in the glaze layer. 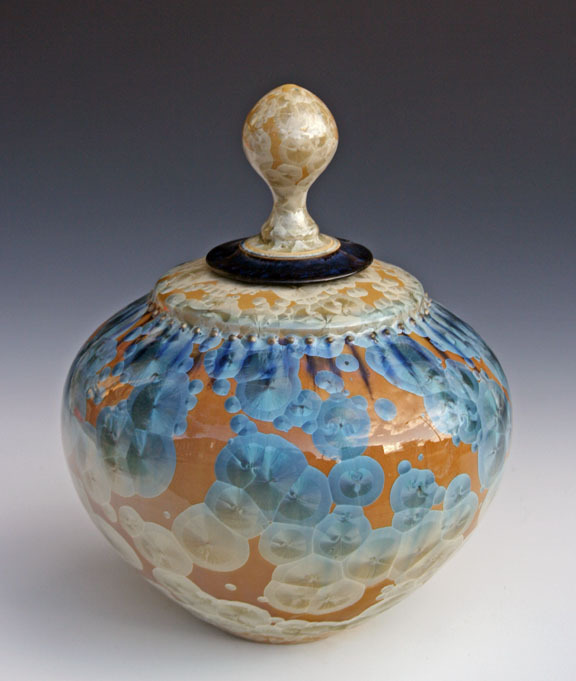 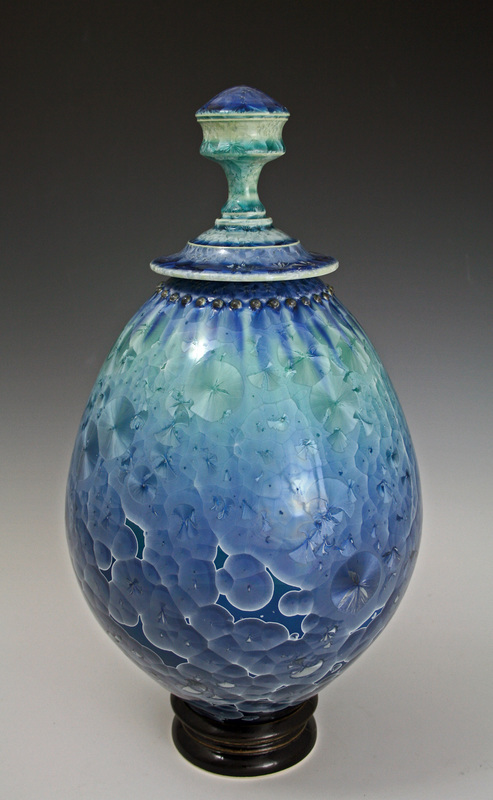 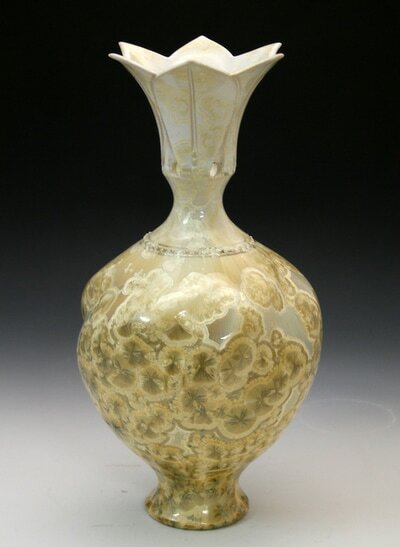 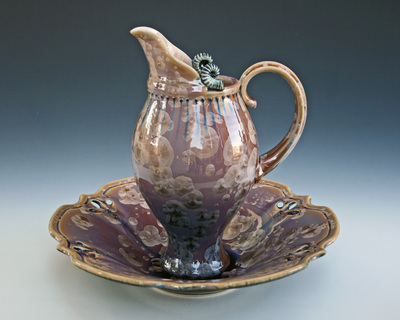 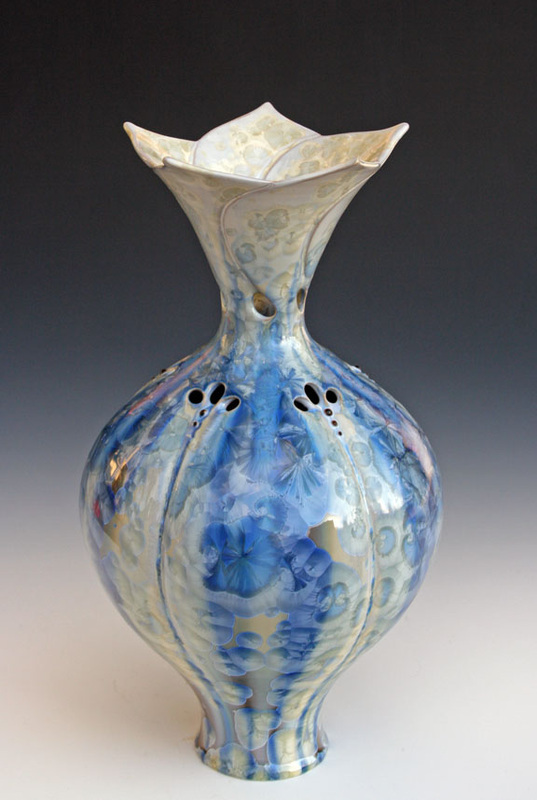 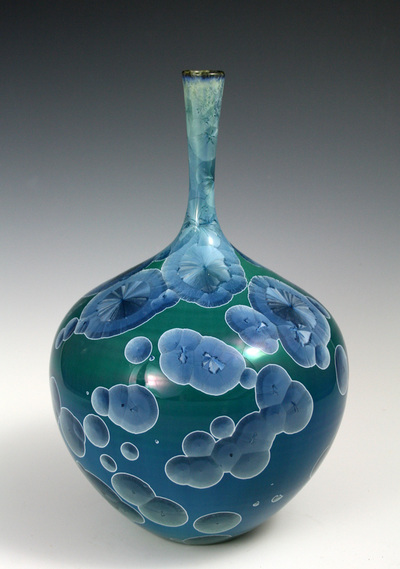 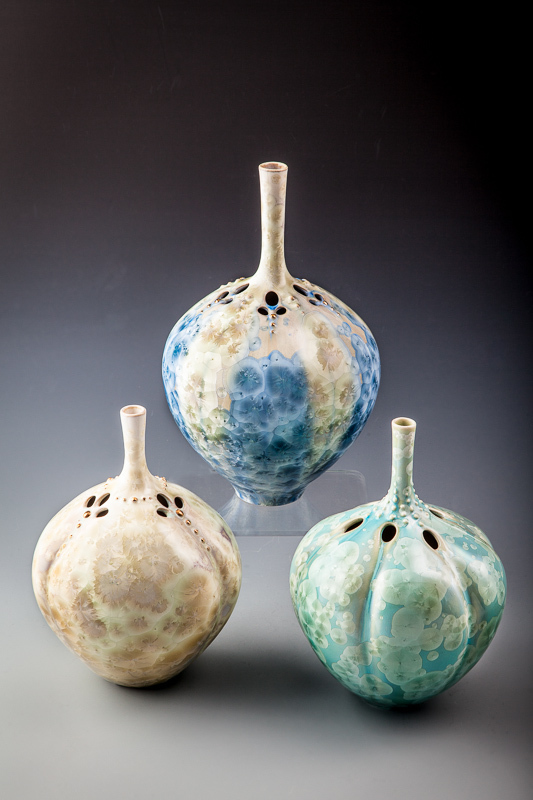 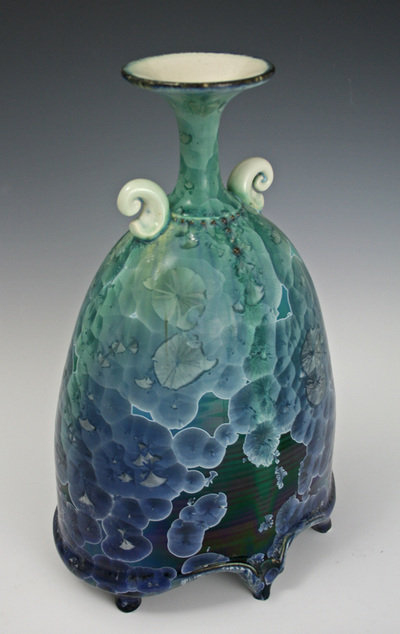 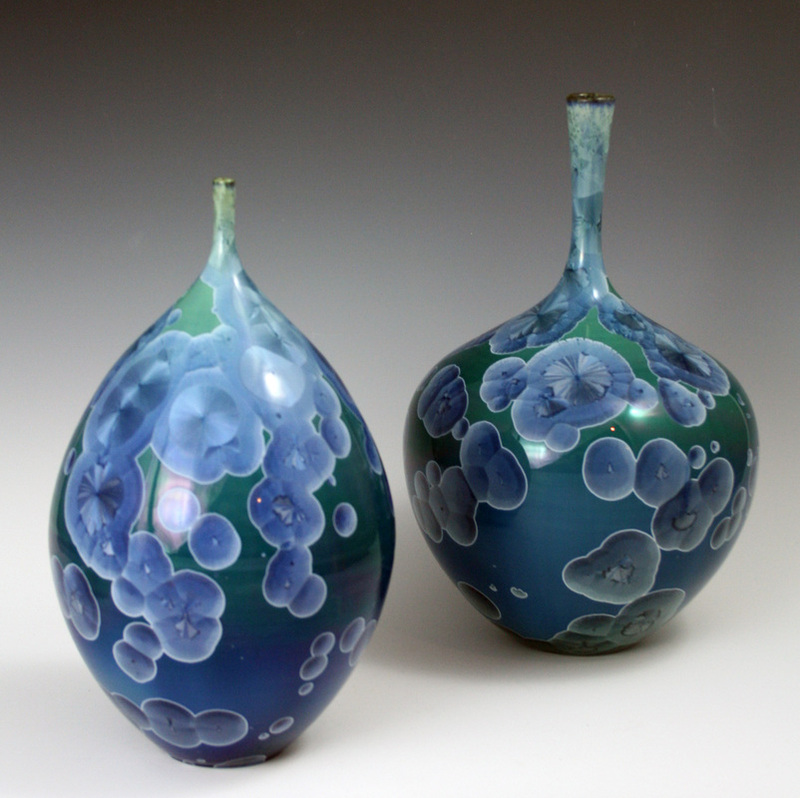 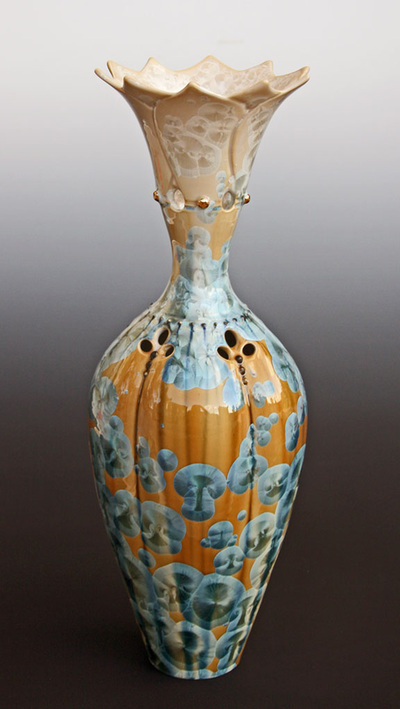 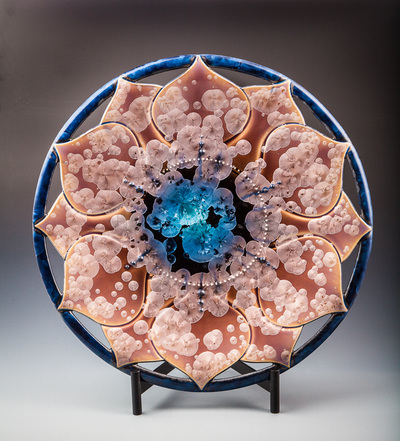 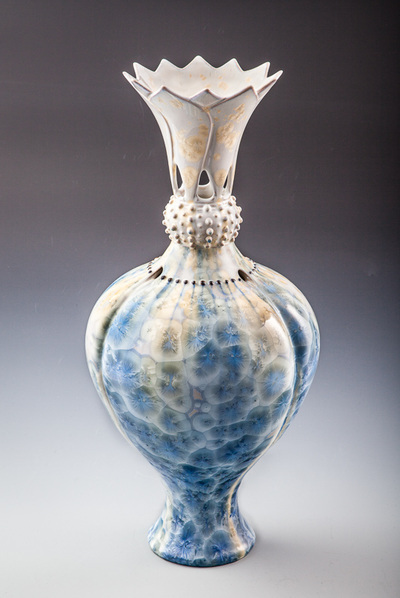 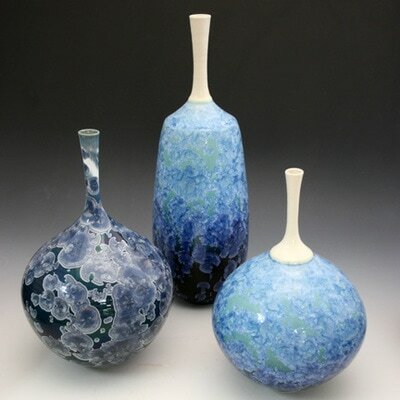 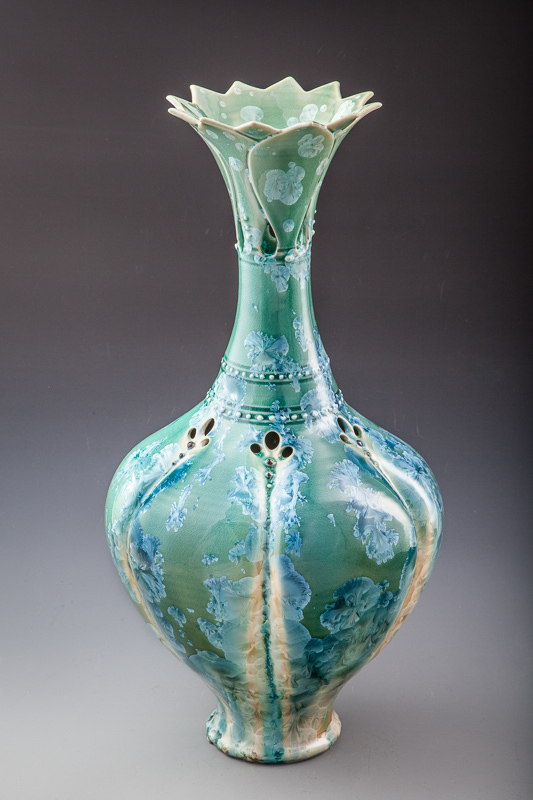 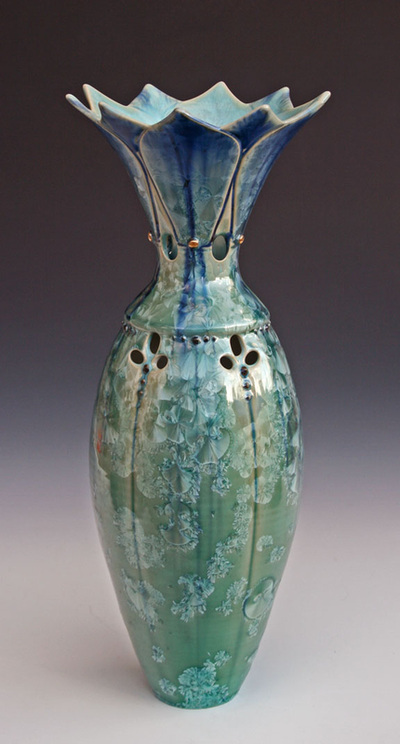 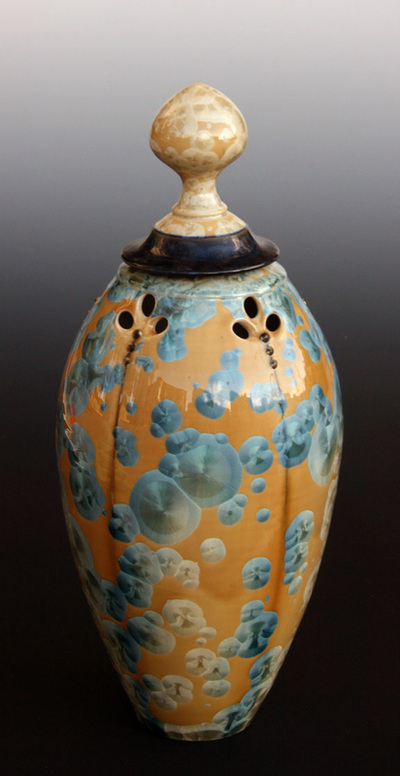 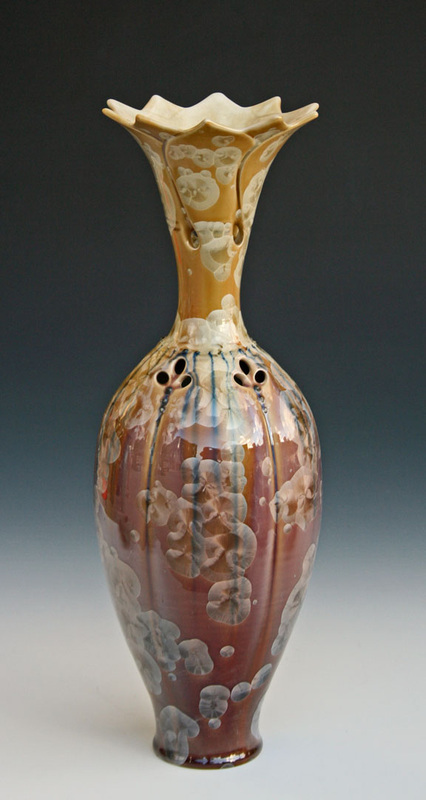 The crystals form naturally in the glaze layer during the cooling cycle of the firing process. 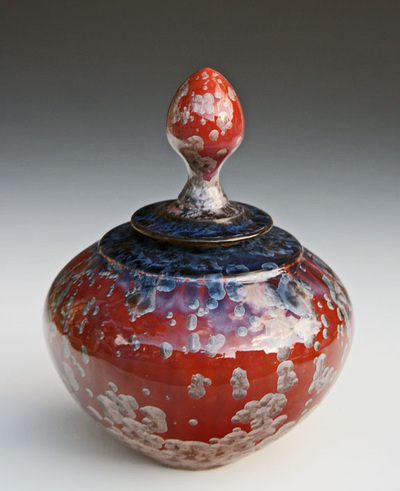 While these are primarily intended for decorative purposes, the serving trays, bowls, and plates are suitable for serving but not food storage.